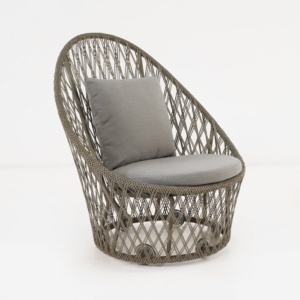 The Sunai High-Back Wicker Swivel Chair is a gorgeous relaxing chair that offers exceptional outdoor performance in an amazingly comfortable and seriously stylish package. 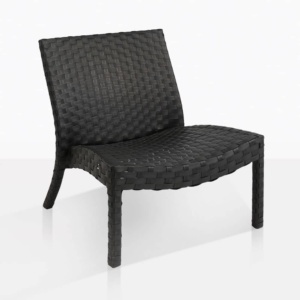 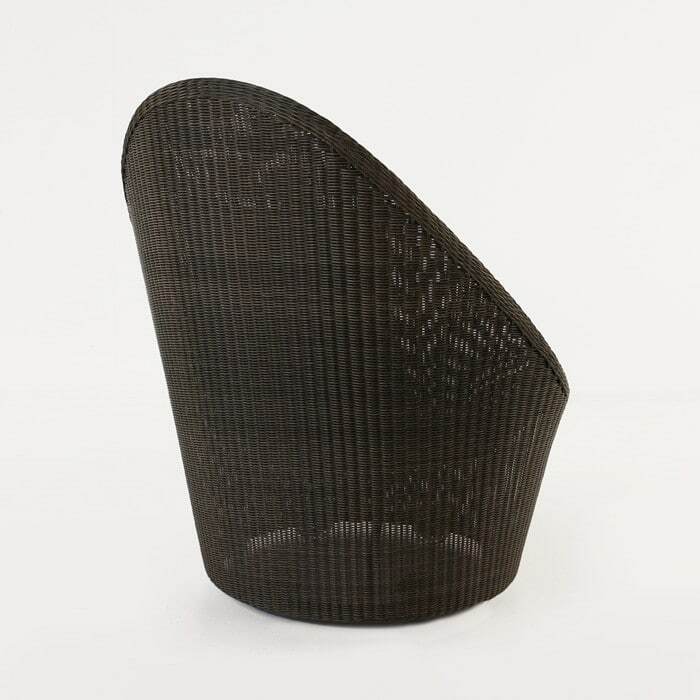 The tightly woven synthetic wicker weave is wrapped around a lightweight powder-coated aluminum frame and has a fantastic, low-maintenance structure and a beautiful piece of relaxing furniture. 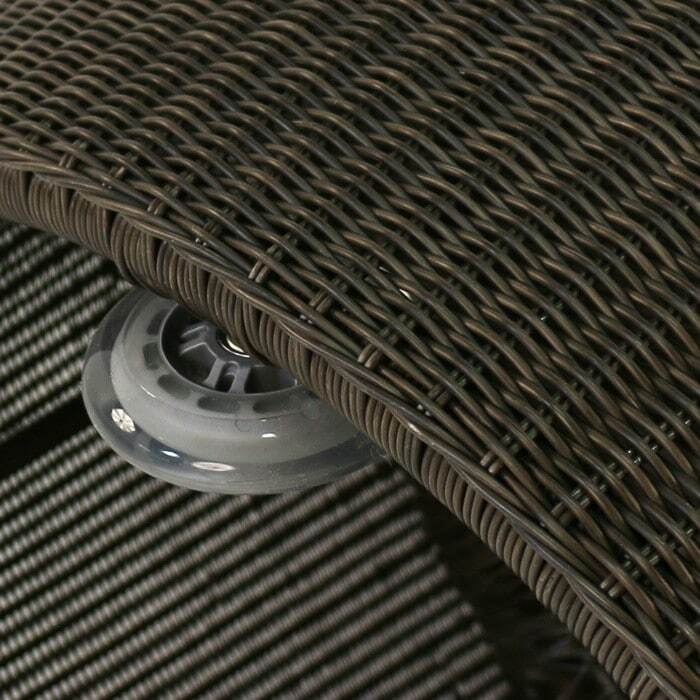 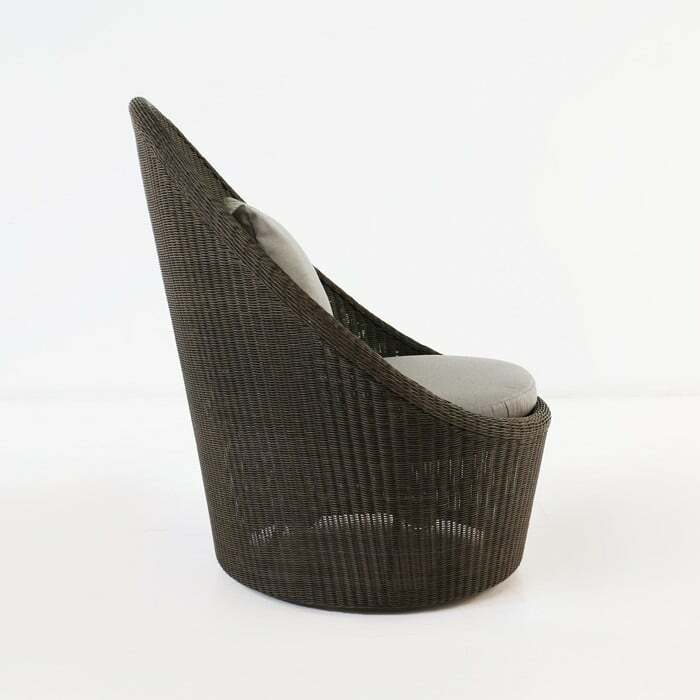 The swivel feature is very smooth and made with a stainless steel and nylon wheel; built for long-lasting performance. 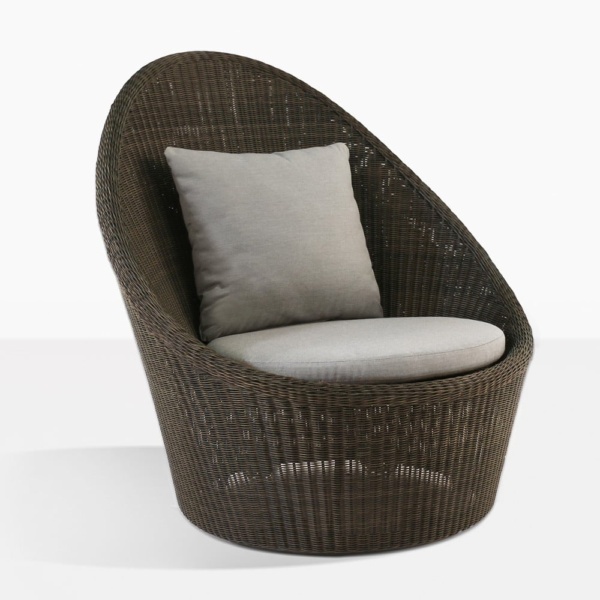 The brown synthetic outdoor wicker shell is low maintenance but the look is high-end. 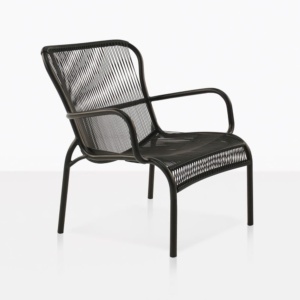 This chair is a special addition to any outdoor space and has superior comfort with the two included Sunbrella cushions as shown.